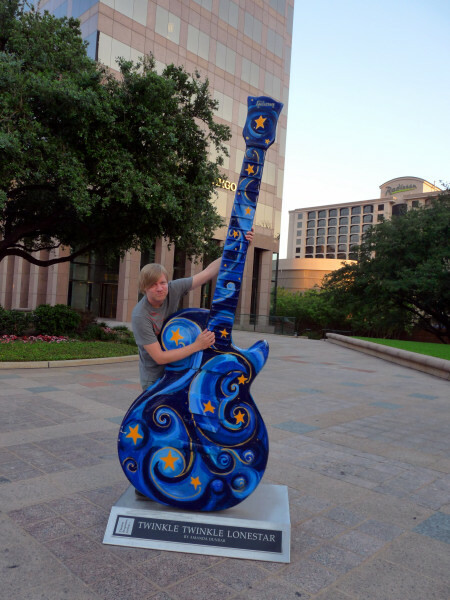 With the SXSW music festival in Austin making a lot of headlines last month, I thought I’d revisit Austin and unload the rest of my Austin photos that haven’t yet been published. 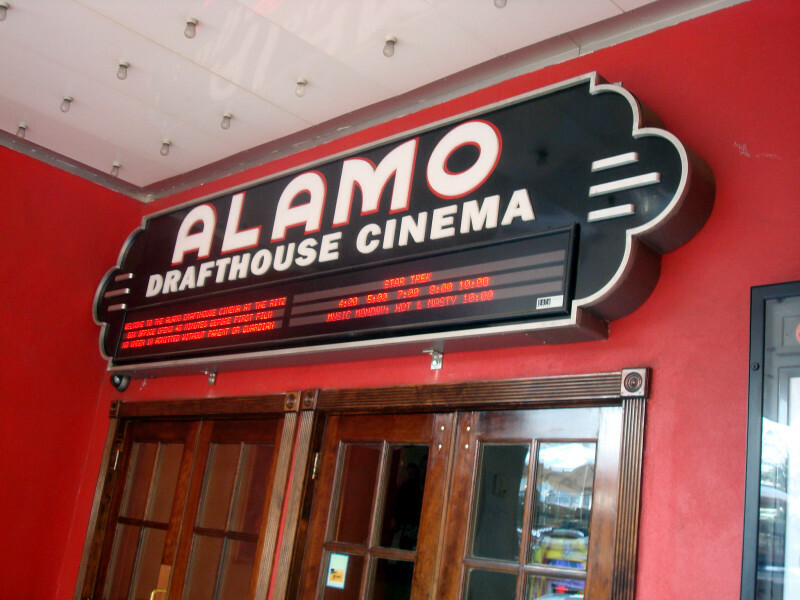 The Alamo, pictured above, is the best movie theater I’ve ever been to. It’s pretty famous. They have tables in front of all the seating areas and even have servers, so you can order food and drinks while you watch. But most impressively, instead of running generic previews of upcoming films, they make their own pre-show entertainment! We were there to see Star Trek, and they had put together a video montage related to Star Trek. Whoever puts together these packages should be working for the big chain theaters around the country because it was really impressive. 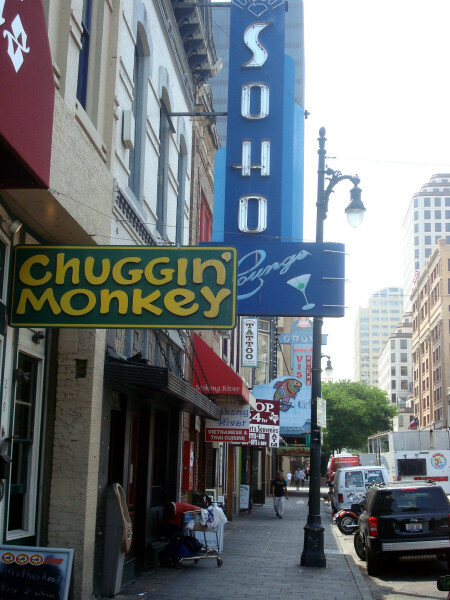 Here’s another shot of some downtown Austin bars. Here’s a weird story I did not report before: We walked around the University of Texas at night and around 8 pm, we noticed a few cockroaches running around on the sidewalks. Weird, we thought. Then a few more. And a few more. Eventually, there were hundreds of roaches running around. Nobody really seemed to be bothered by them. Apparently, this is an everyday occurrence. When the sun goes down, the roaches come out. How bizarre! 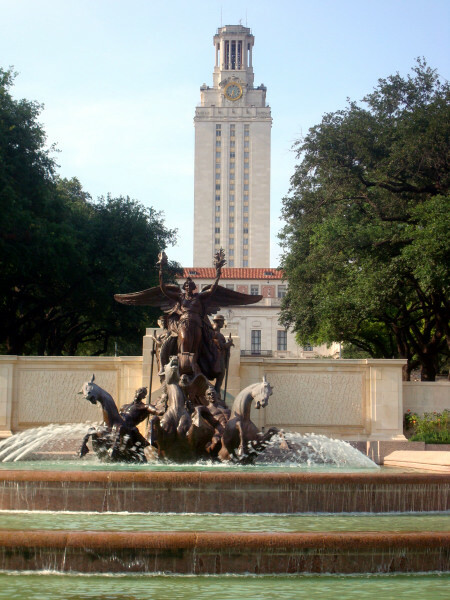 The University of Texas did have some impressive buildings. 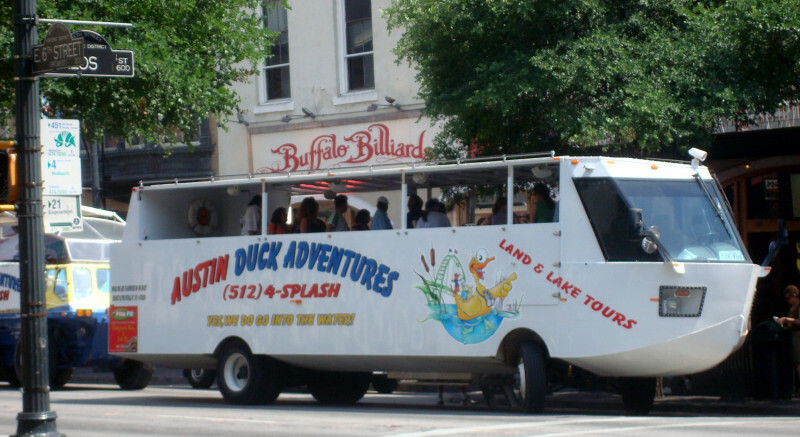 Austin also had one of those ducky tours that many major cities have, with a vehicle that drives on roads in rivers. It wasn’t in my budget. They also have these in Portland and Pittsburgh. 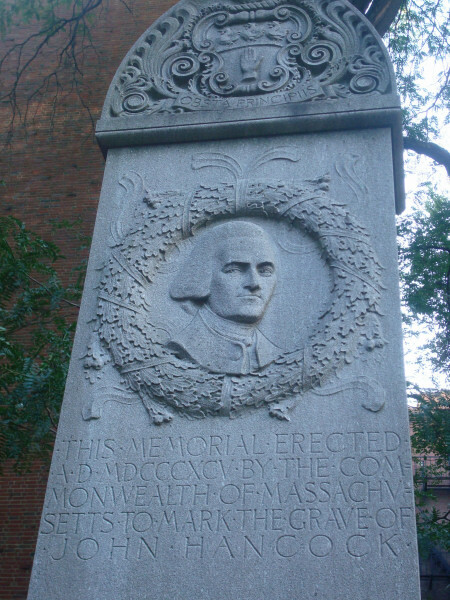 I’ve been saying forever that I want to do one of these tours, but I haven’t gotten around to it. 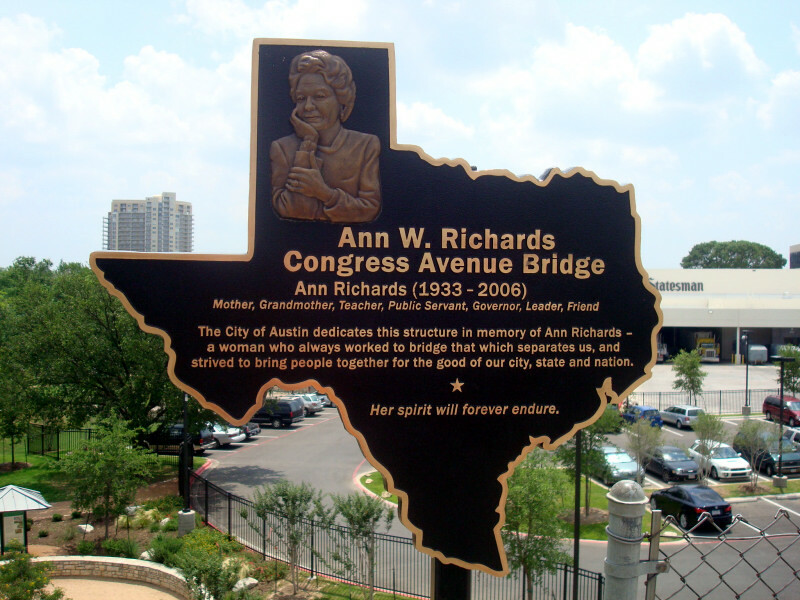 The main bridge leading into downtown is named after former governor Ann Richards. 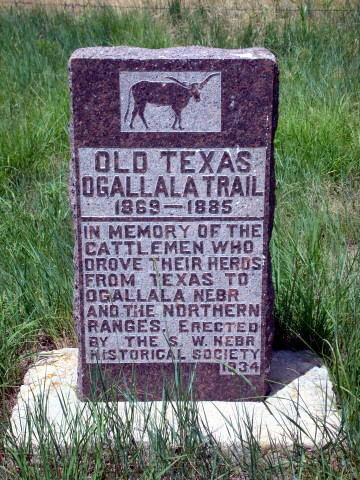 It’s amazing that Texas elected a Democratic governor as recently as the ’90s. This place had some interesting branding going on. 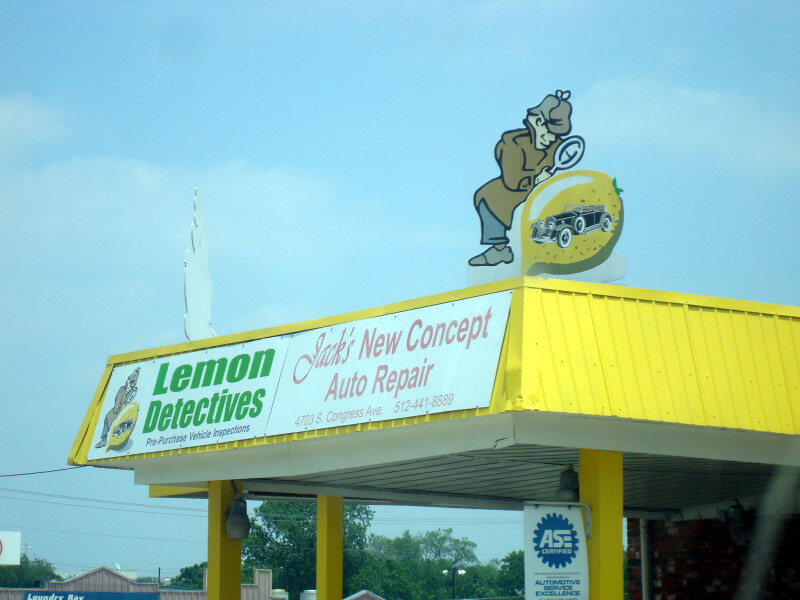 Meet the Lemon Detectives, an auto repair shop. 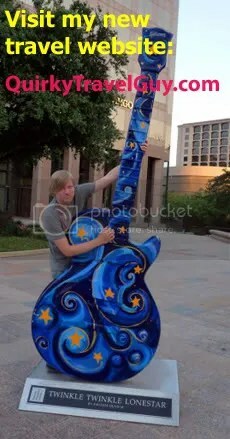 I think they had a few of these guitars around town. 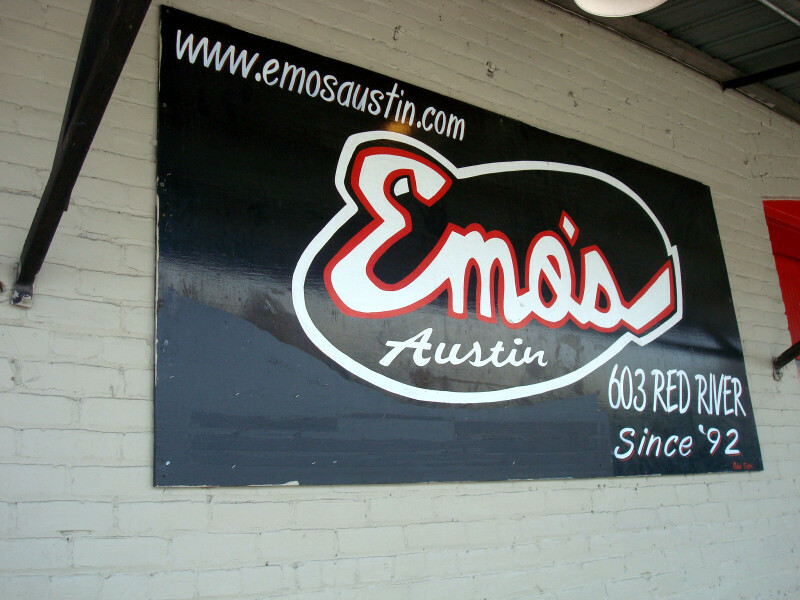 Emo’s is one of the more famous music venues in the city. 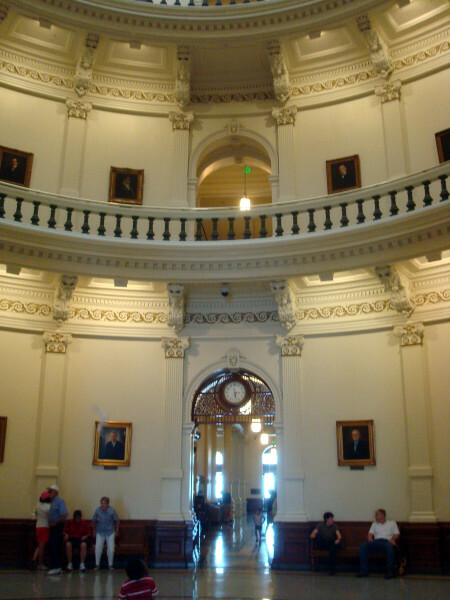 Another view inside the capitol building. 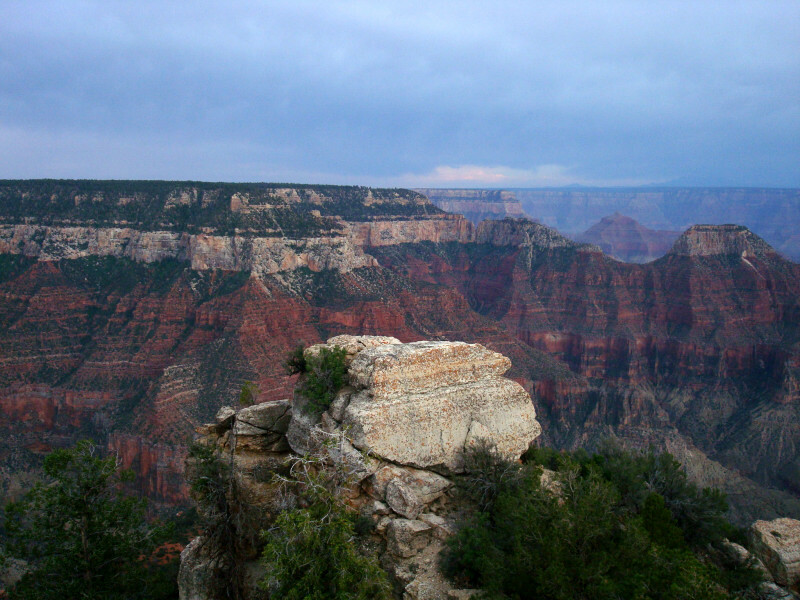 It’s time for more pics from the Grand Canyon. There’s no reason to sit on these since I have so many. 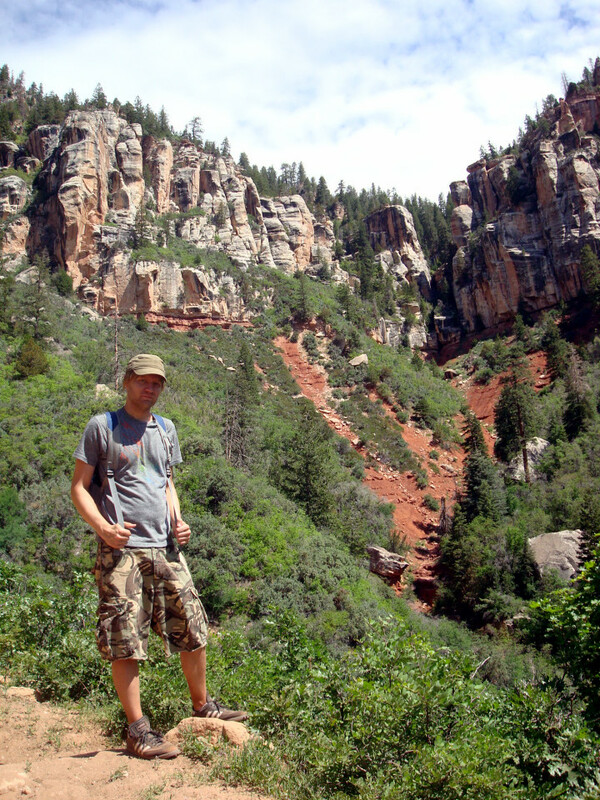 Another shot of me while hiking down in the canyon. 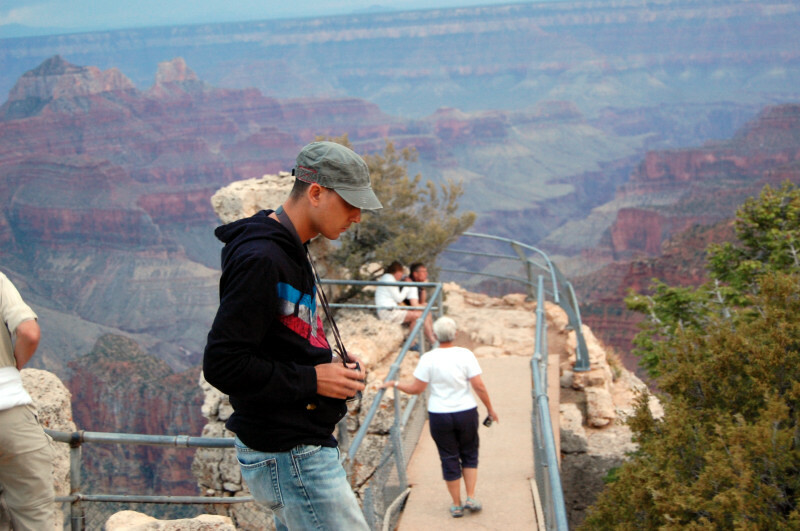 My friend Jason was with me at the canyon. Here he stands in front of the walkway which leads down to the best overlook point. 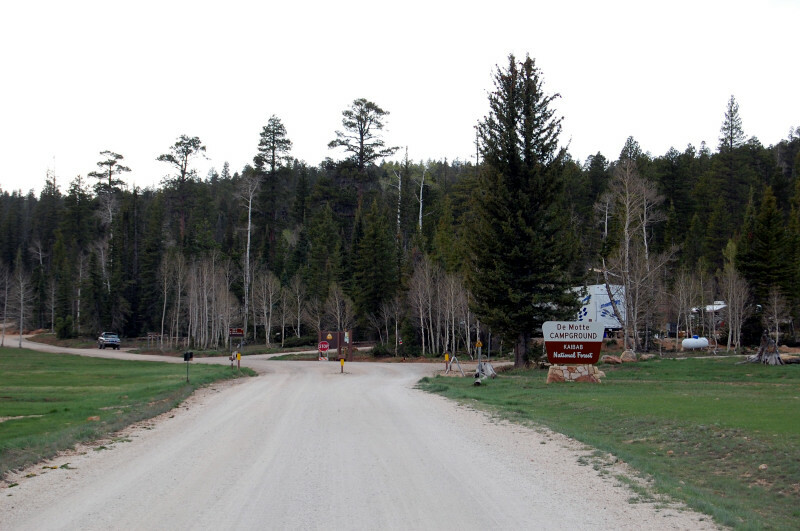 We stayed at the nearby Demotte Campground so we could get two days at the canyon.The campground still had snow on the ground in May. 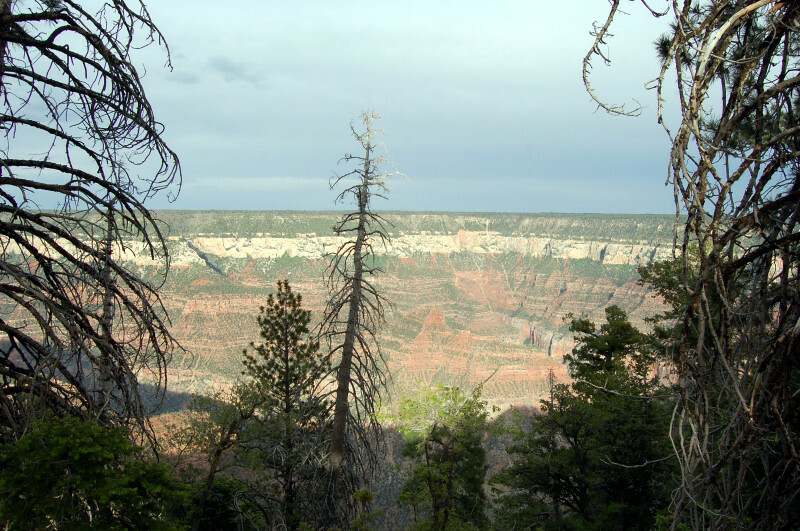 We hiked into the canyon on the forested side. 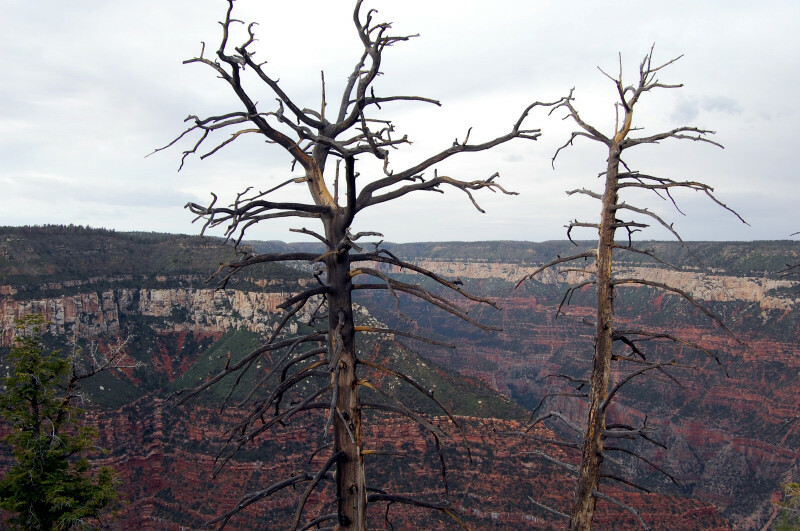 A couple of dead trees at the top pf the canyon. A sunset shot of a single tree. 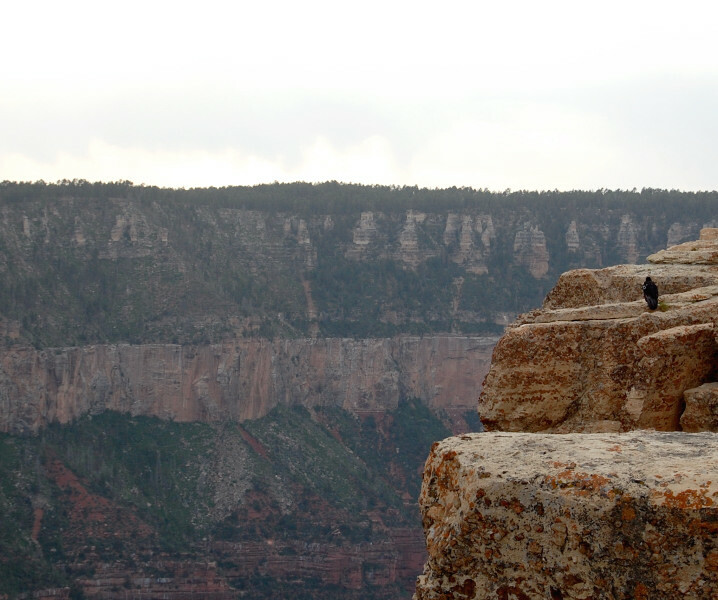 Another shot of the rare California condor at the canyon, from farther away. He’s on the right side of the photo. 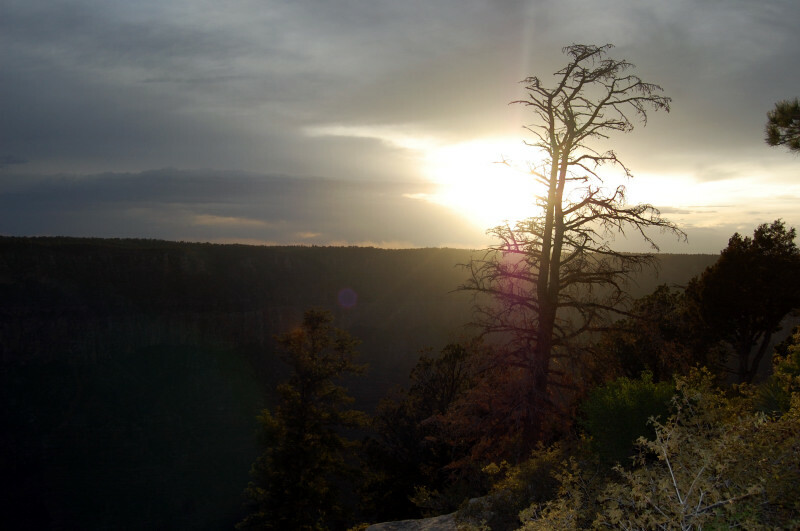 And here’s a new video clip, a brief panorama from the North Rim of the Grand Canyon. 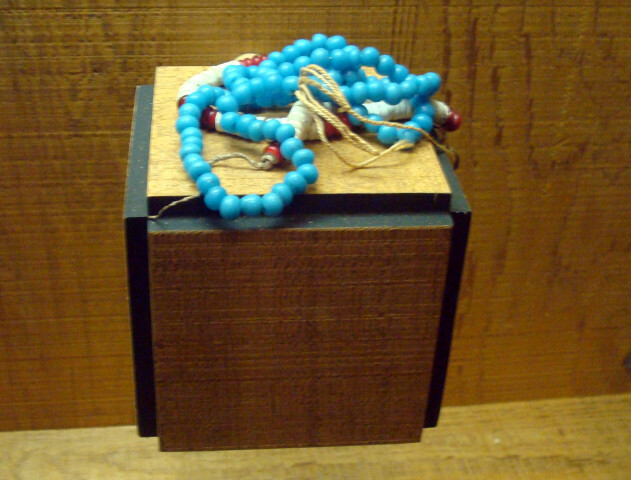 Here’s another item I didn’t blog about the first time around. 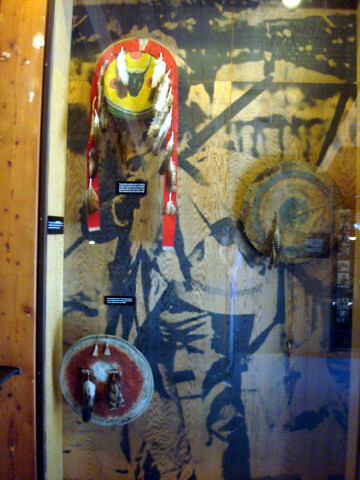 Driving through Wyoming was not terribly exciting, but one of their rest stops on the way to Grand Teton had a small free Native American museum. 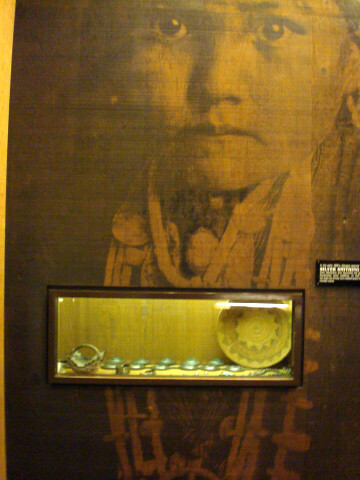 They had lots of trinkets and beads on display. 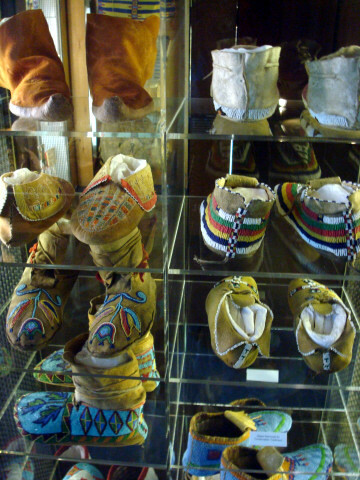 The museum had a lot of buffalo hides and Native American clothing that I neglected to photograph, as well as dishes, rugs, and other random items. 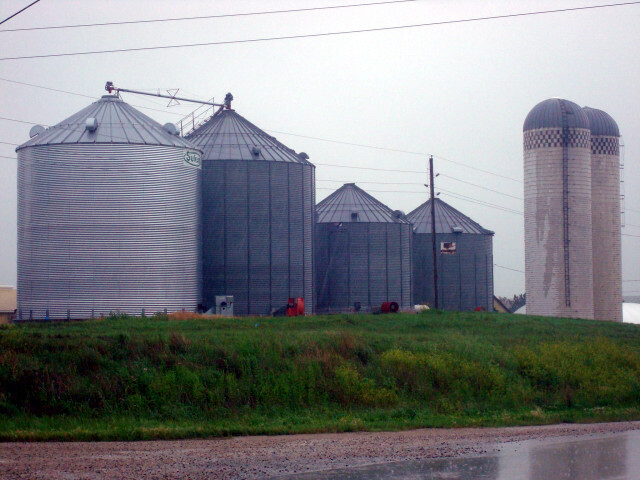 I spent a great deal of time in farm country, starting in West Virginia, and then through Arkansas, and then again in Nebraska and Kansas. 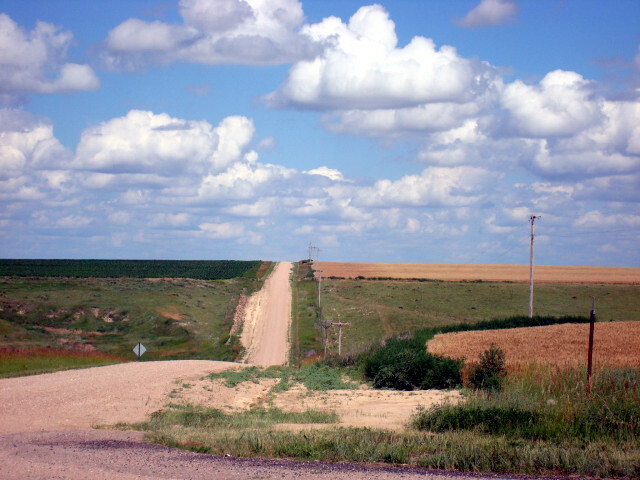 It was fun to drive through low-population areas on two-lane highways with few people around, nothing but fields of corn. 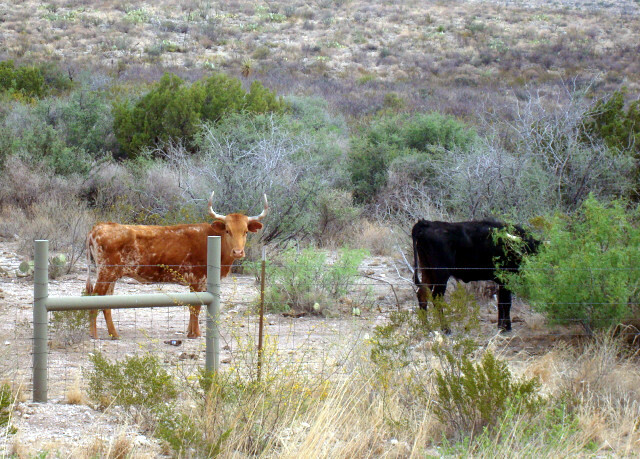 Farm country in New Mexico was quite different. 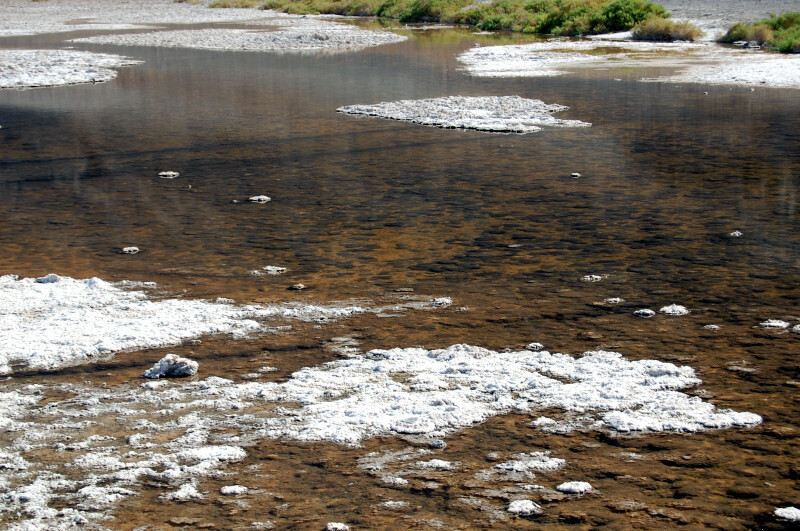 These animals live on land that is bone dry. 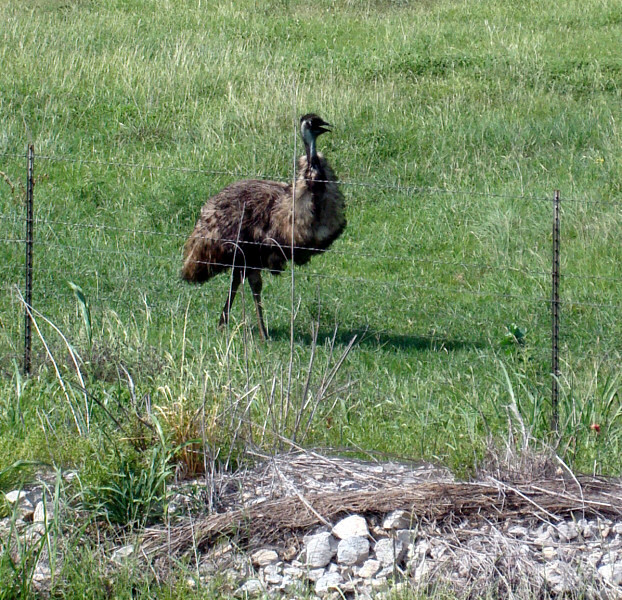 The emu farm in Texas was one of my favorites. 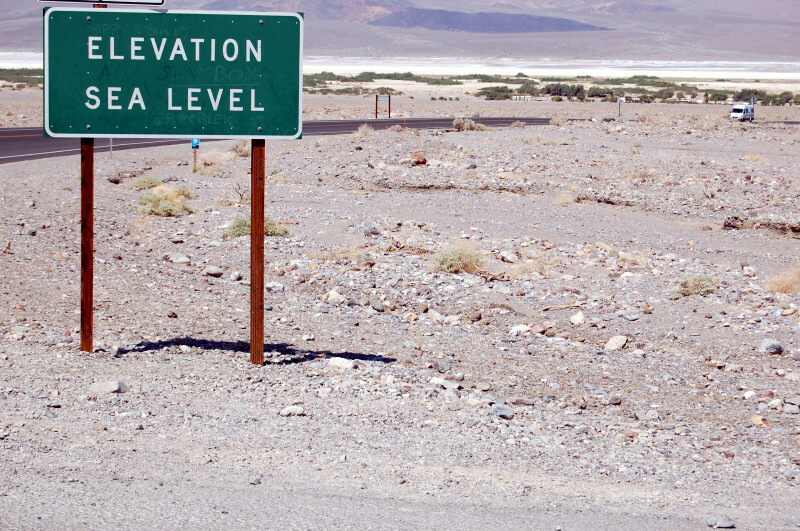 I’m watching a nature show about Death Valley and getting excited because I’ve been to all the places they’re showing. 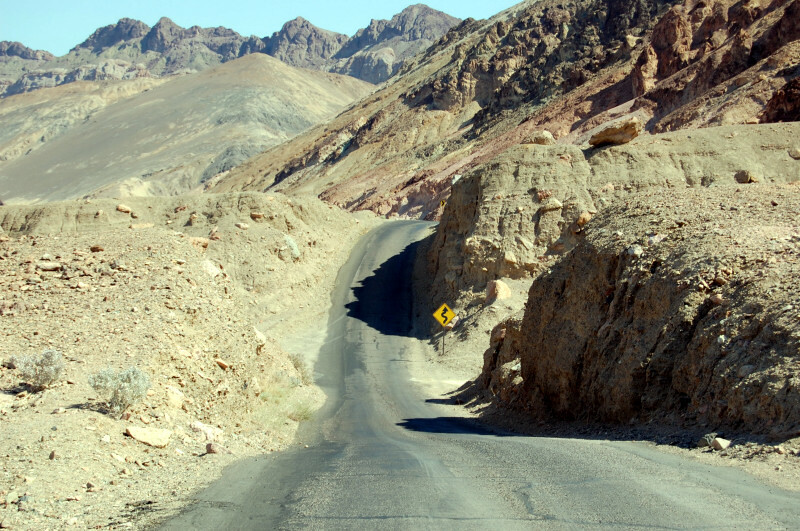 And it occurs to me there were some parts of Death Valley I never really wrote about. So here goes. 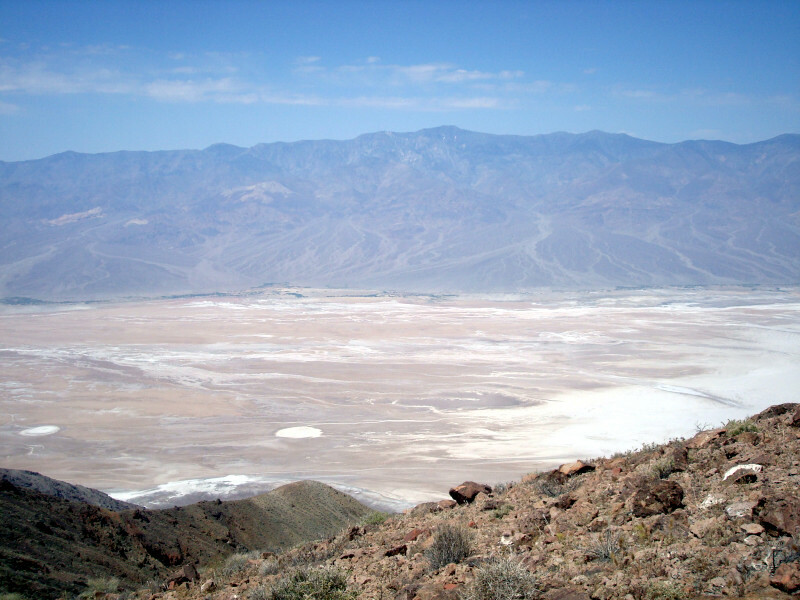 A view from one of the overlook areas, down into the salt flats. 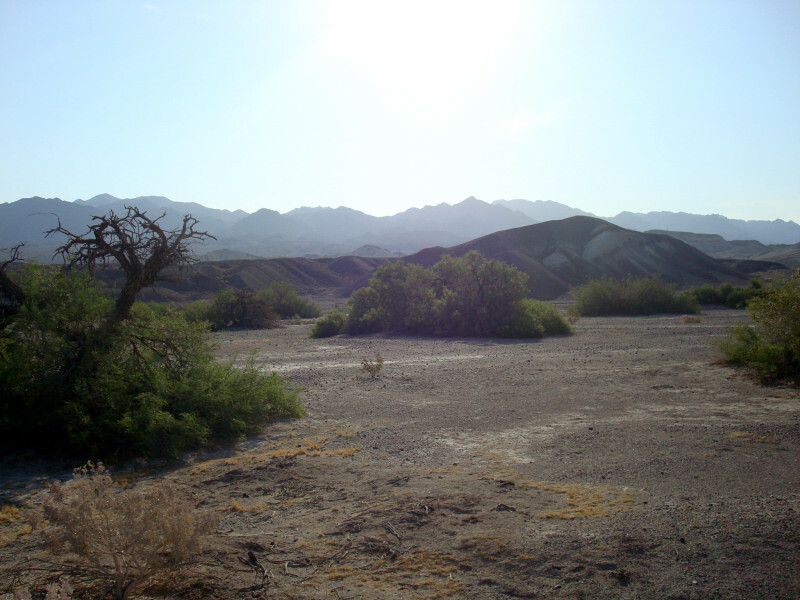 This passes for a forest in Death Valley. There’s my van in the distance. 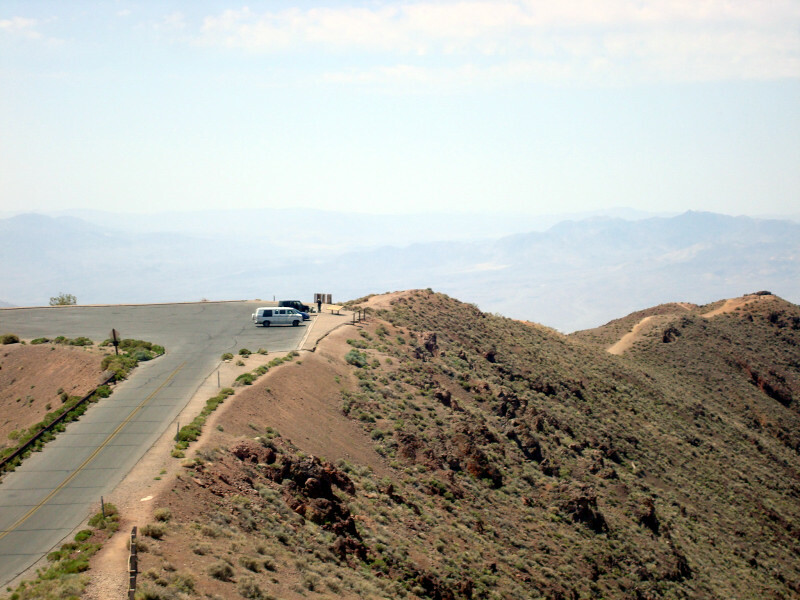 I parked it and walked up a small hill to get a bird’s eye view of Death Valley. But I had to be careful because they keep cautioning you about physical exertion. The stories about people passing out due to extreme heat were enough to scare us into taking it easy. 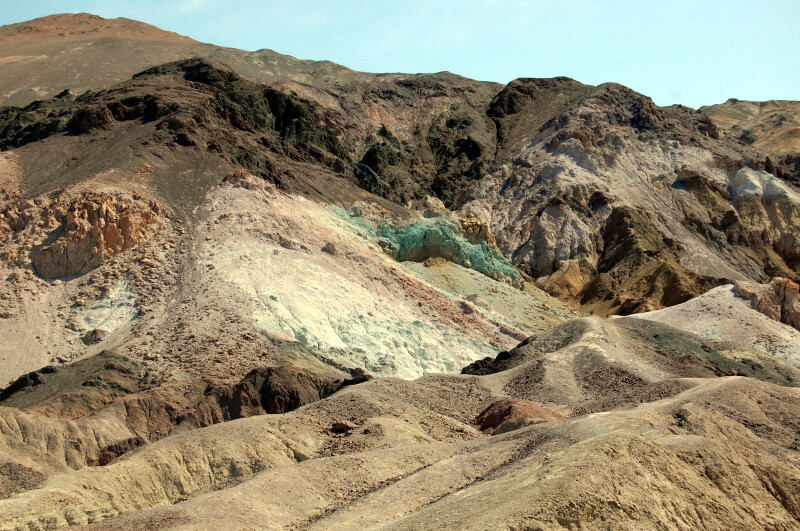 I didn’t write about this originally – there’s a part of Death Valley known as Painter’s Palette because the rock formations are all different colors due to mineral deposits and weathering. This section had some nice greens and oranges. The path through the rocks was a narrow, winding, one-way road. 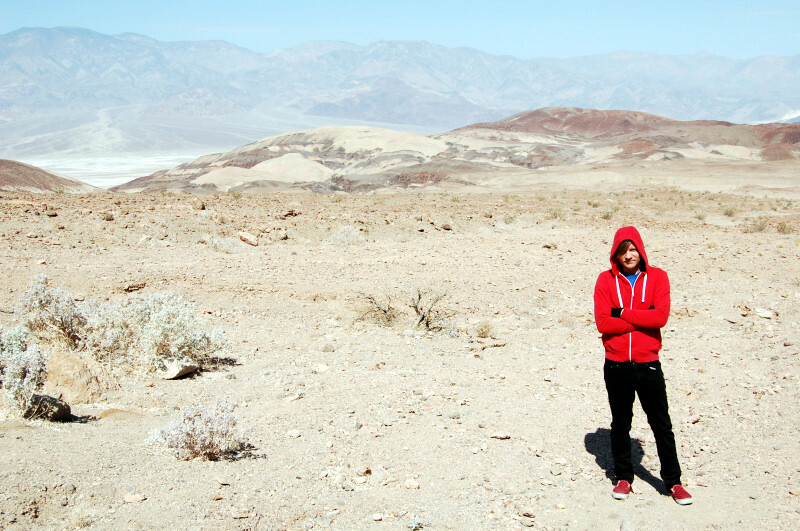 Here’s another outtake from my Death Valley fashion shoot. In my original post, I posted a shot of myself in long pants and a jacket as a way to pretend it wasn’t really that hot. But it was: 104 degrees to be exact. I had the A/C running in the van, ran outside, snapped a few pics, and ran back in the van and changed into shorts and a t-shirt. 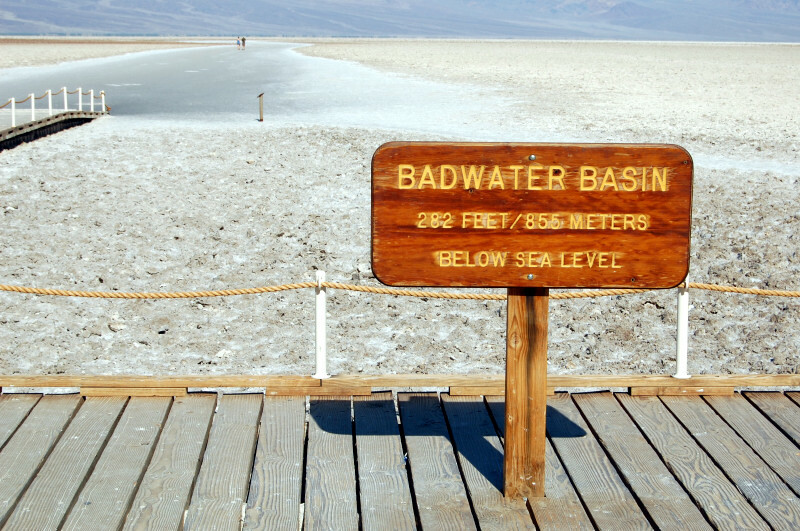 Another shot of Badwater, the baby pool of salt water that sits at the bottom of Death Valley, 282 feet below sea level. When I think back on my summer trip, Death Valley was actually one of my favorite places. I’m not sure exactly why. I guess because of the novelty of being in a place that’s so remote, so dry, so rocky, so hot. Camping in such a place was a lot of fun. I’d do it again. But I want it to be hotter next time – at least 120 would be fun. I spent a couple of fun days in Little Rock. 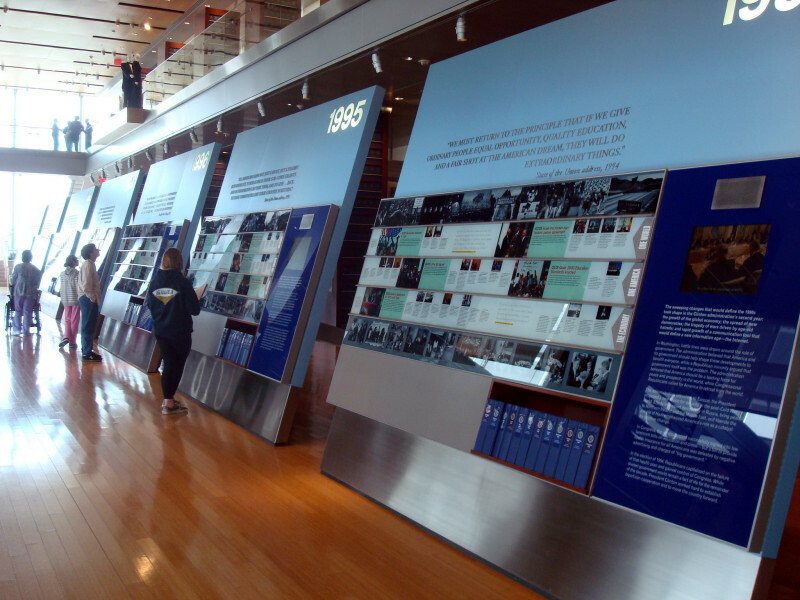 The great tourist attraction was Bill Clinton’s Presidential Library. 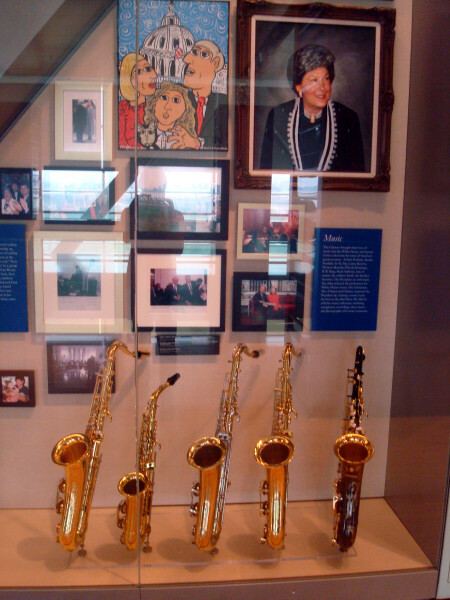 They had a display of the saxophones he had in the White House. 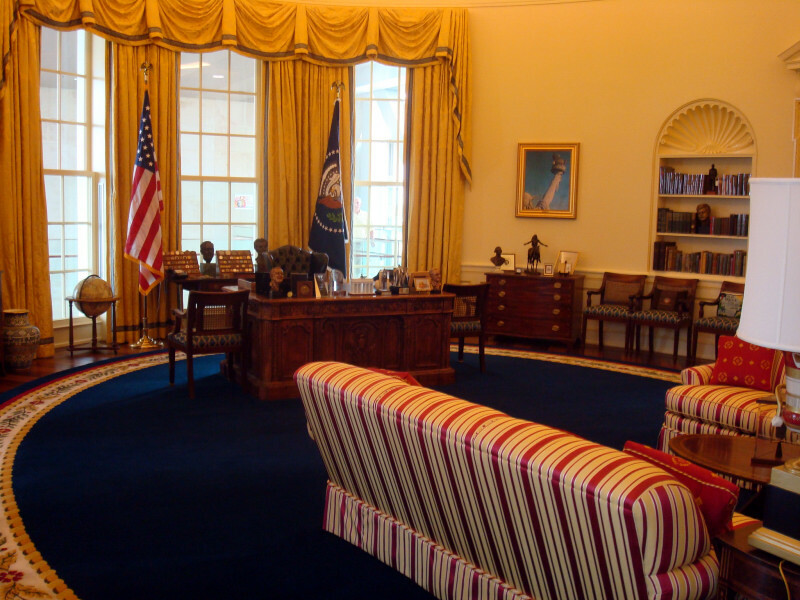 Another view of the Oval Office setup, which was recreated to look exactly like it was during Clinton’s presidency. 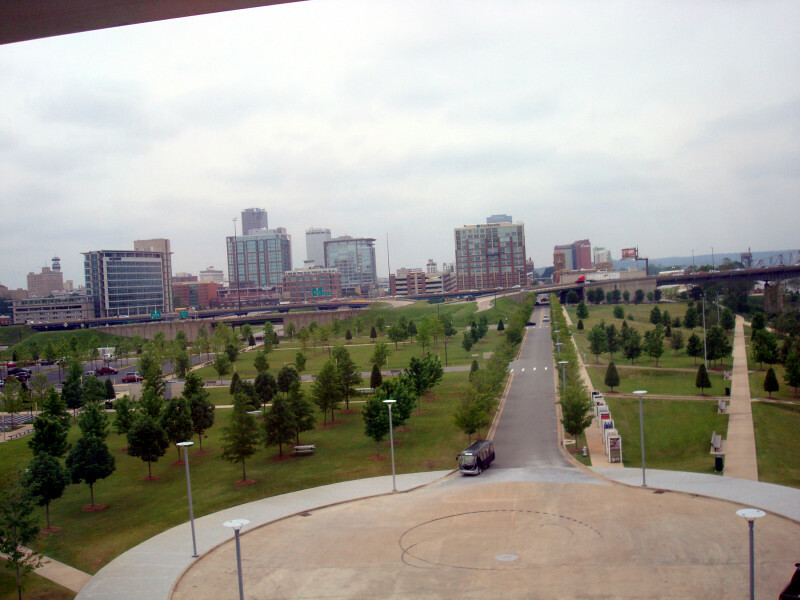 From the top of the library, visitors can see the Little Rock skyline. 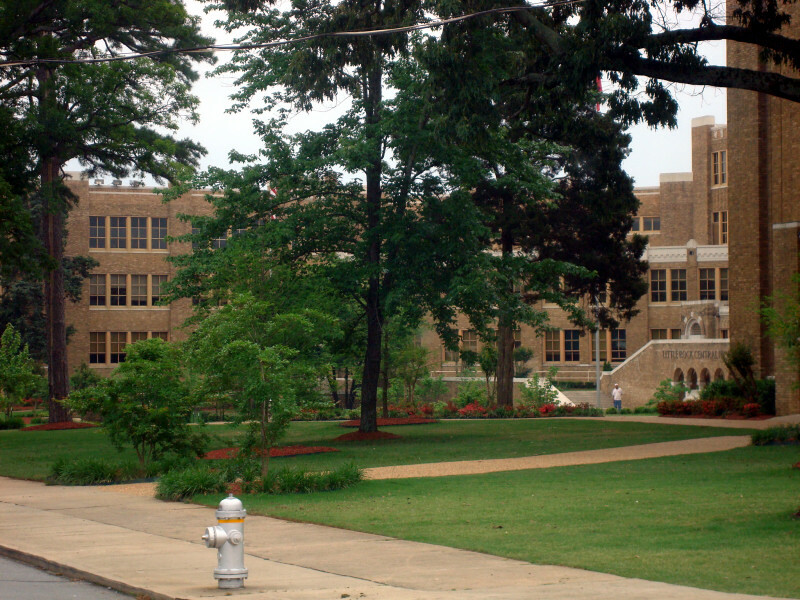 When I first wrote about Little Rock I neglected to mention that I visited a historic site – Little Rock Central High. 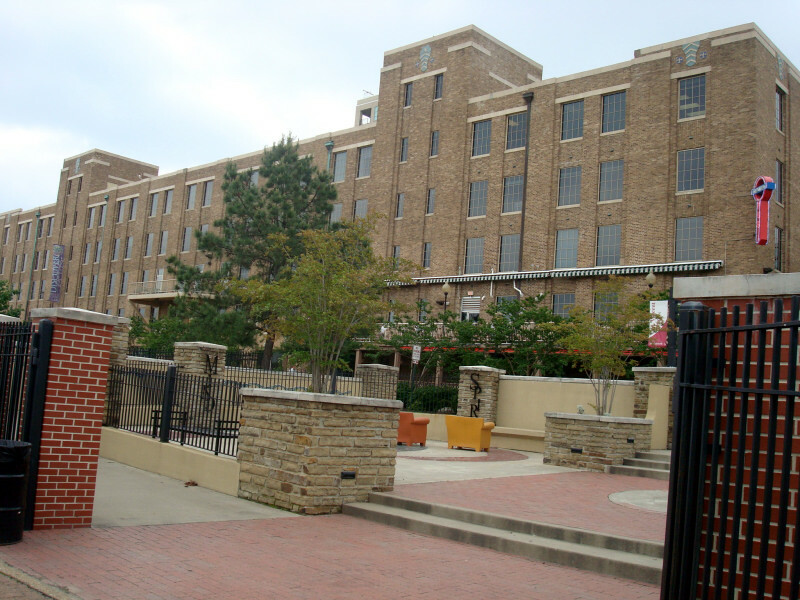 This is the school the “Little Rock Nine” attended. They were the group of nine black students who integrated the school in 1957 and had to receive National Guard protection because the state’s governor didn’t want to let them through the school’s doors. The school is still used today. I drove past and got a picture. I don’t remember what this building was but I like it. 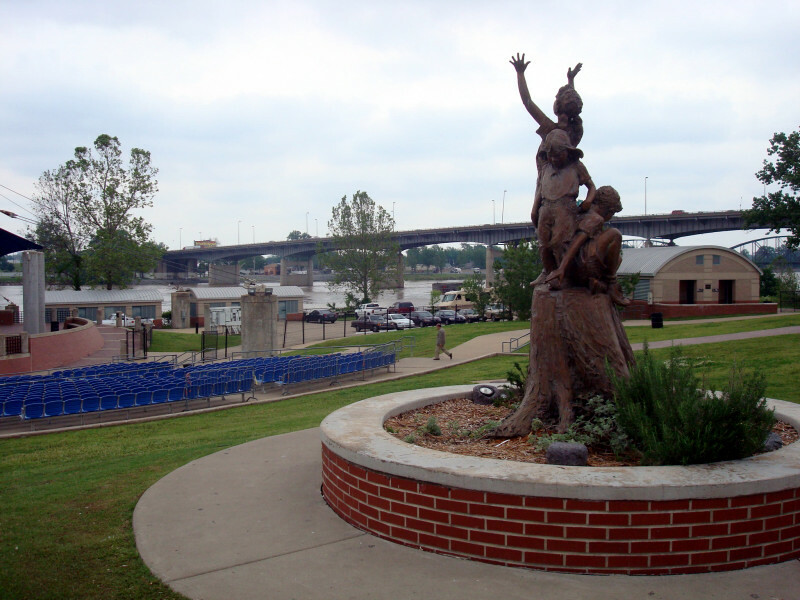 It was one of the buildings on the riverfront. 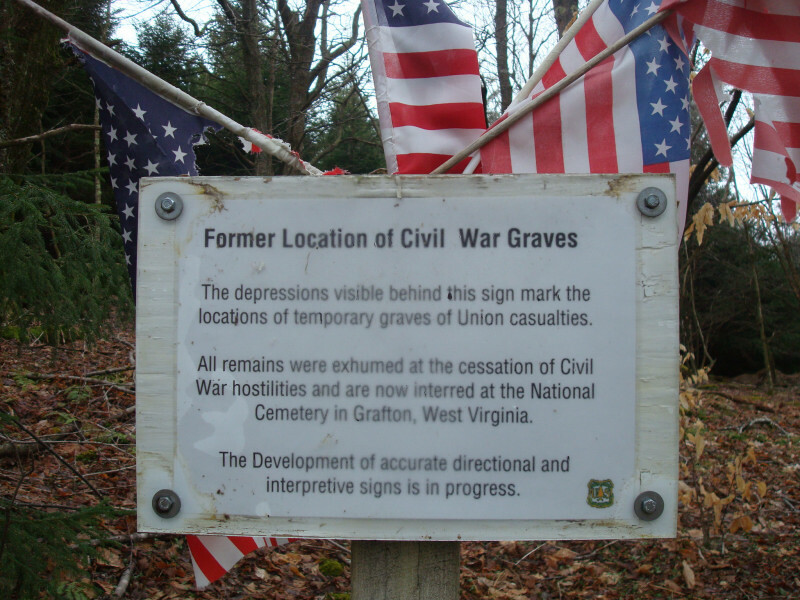 Very early in the trip I was hiking in a park in West Virginia and ran across a former Civil War grave. That was a quality historical find on just my third day of the voyage. 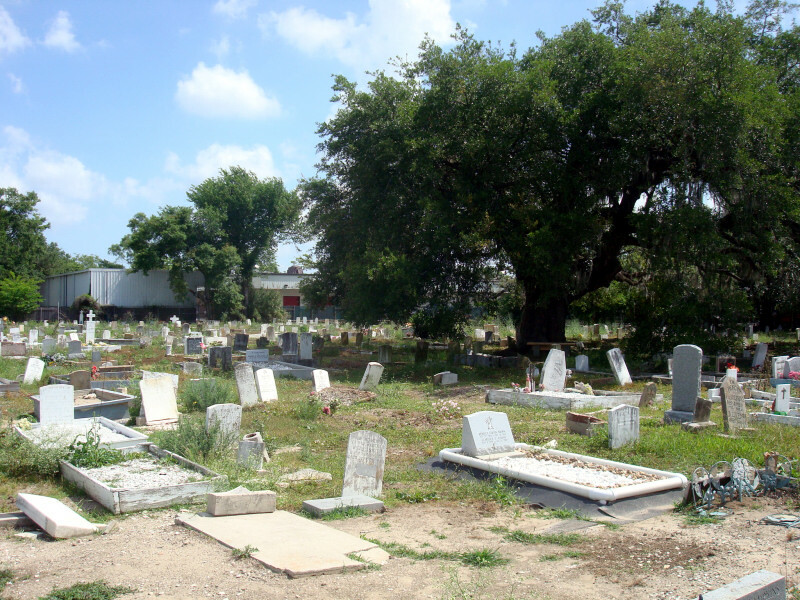 I’ve written already about some of the above-ground cemeteries in poor regions of New Orleans. 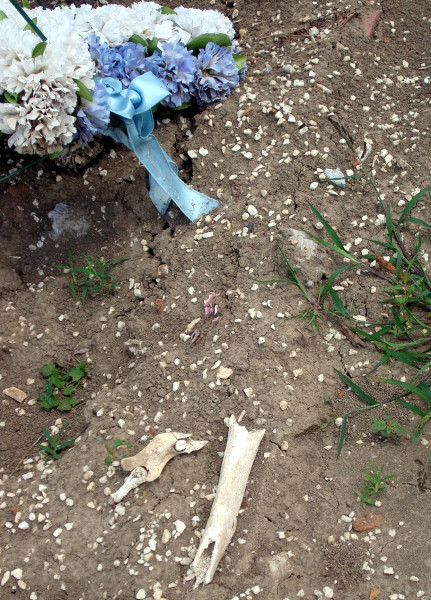 After Katrina, many of the bones surfaced. They’re still there. 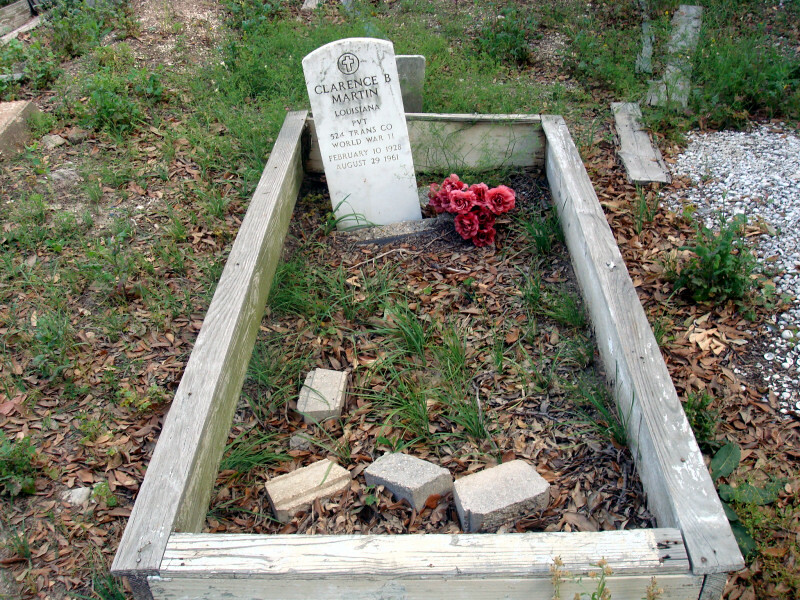 A World War II vet’s unfortunate final resting place. 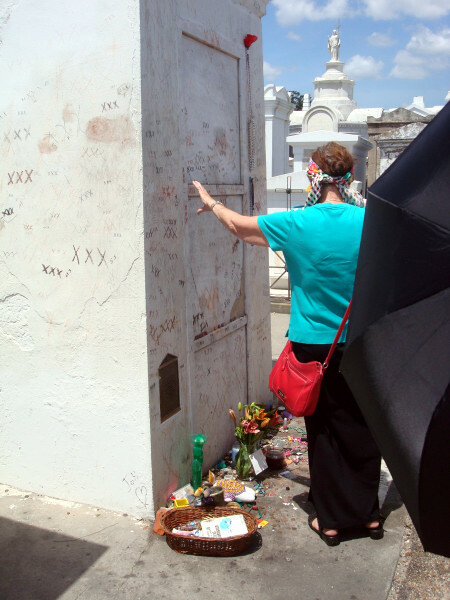 New Orleans also had a more upscale above-ground cemetery, which houses voodoo queen Marie Laveau. 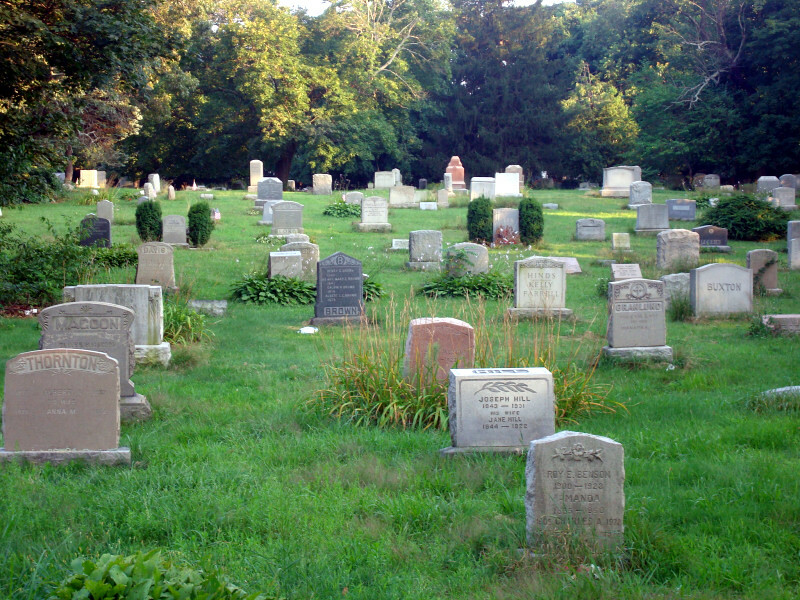 People leave all sorts of trinkets outside her grave. 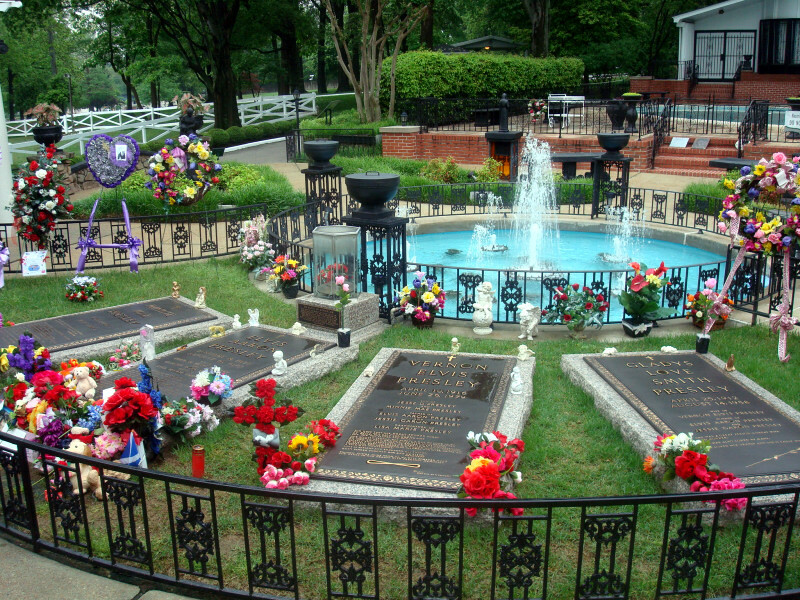 In Memphis, it was off to Graceland, to see the graves of some dude named Elvis and his family. 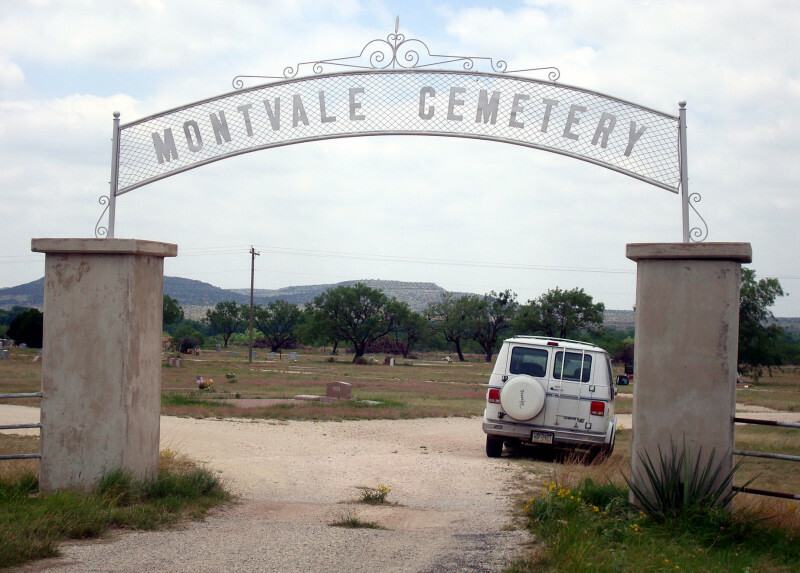 In western Texas we found a mostly abandoned cemetery called Montvale. 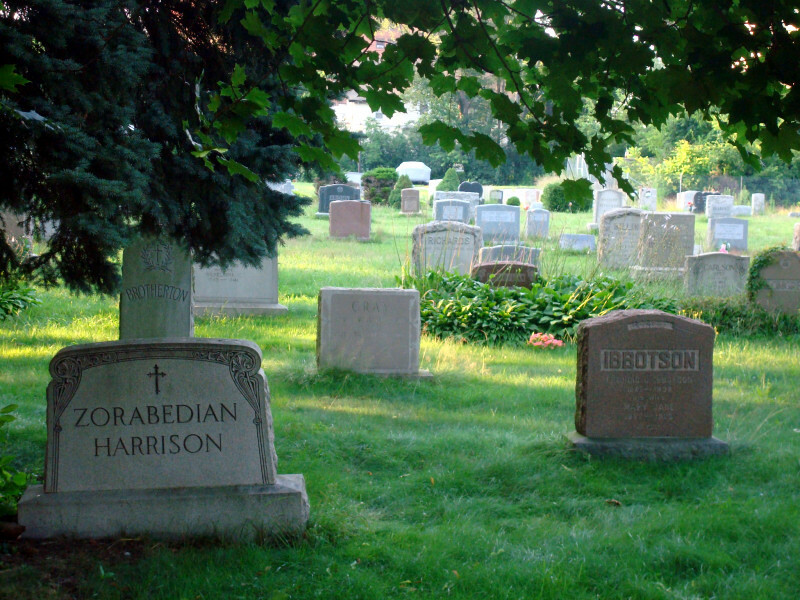 That was it on the cemetery front until Providence, Rhode Island. Roger Williams Park provided a number of interesting scenes. 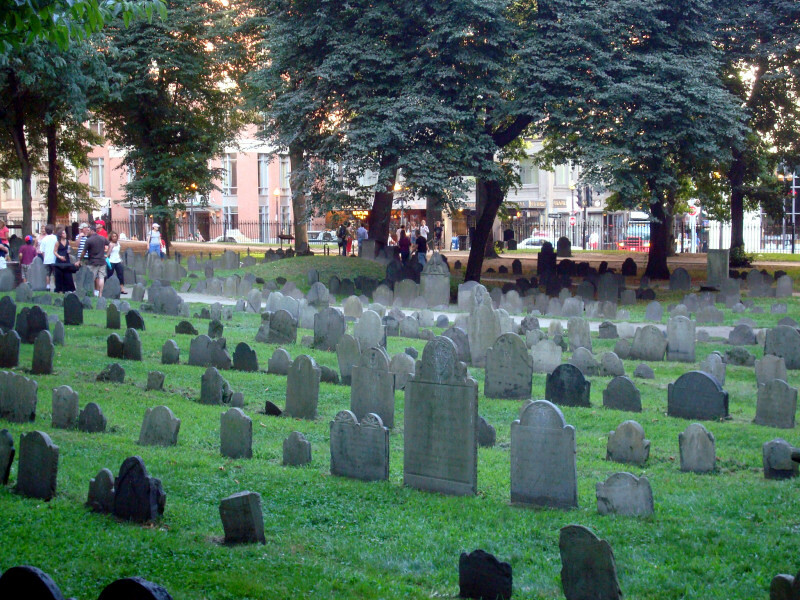 Boston has a super-historic cemetery right in the middle of downtown. 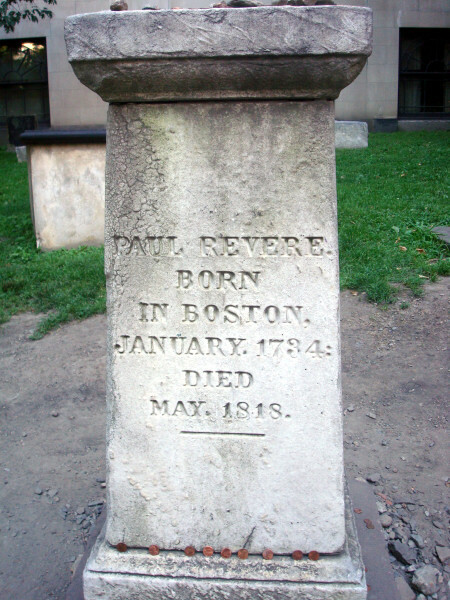 Among the luminaries on these hallowed grounds were John Hancock and Paul Revere. Young(ish) indie type travels the country, meets lots of people, documents his experiences. 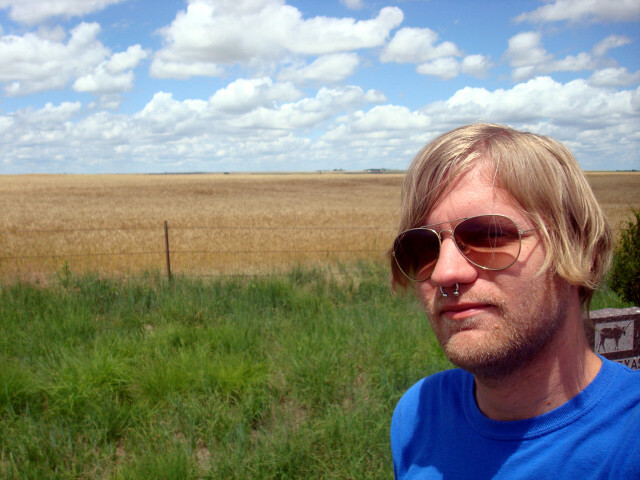 This blog is a record of my adventures from when I covered 9000+ miles across the U.S. in the summer of 2009 as well as my continuing travels in 2010 and beyond. Email me at scoots2000 (at) hotmail (dot) com. *Day 6: Can anyone tell me what animal I almost hit?